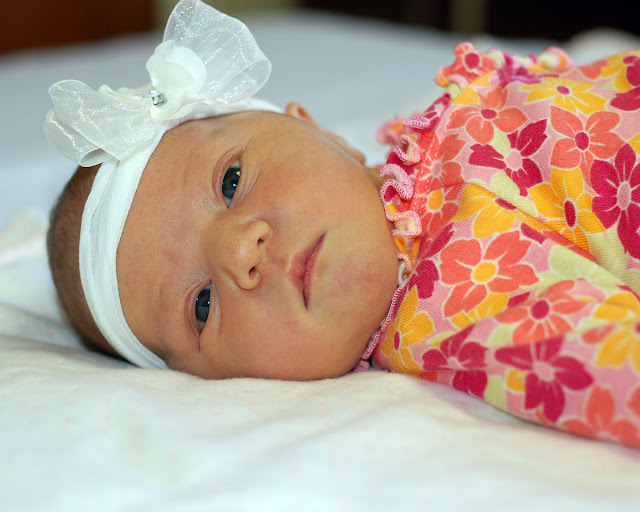 Zoe Renee Kap was born Tuesday, April 28th. 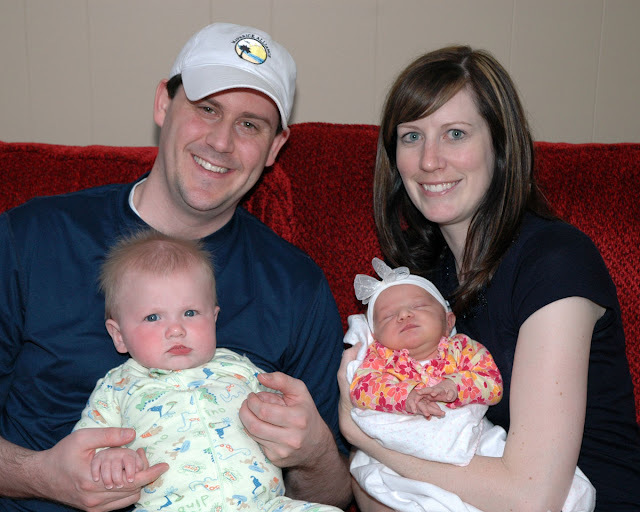 Here's little Zoe with her brother Zach and their parents Ethan and Erika (Krista's sister). 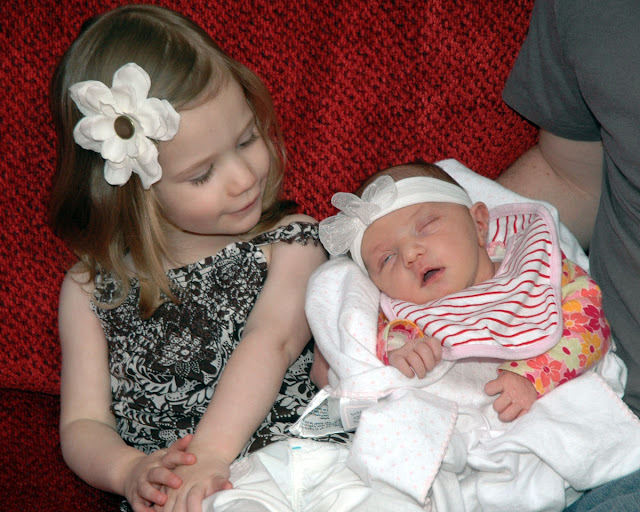 Ava is a big admirer of her newest cousin who is peeking here to see who's watching her sleep. 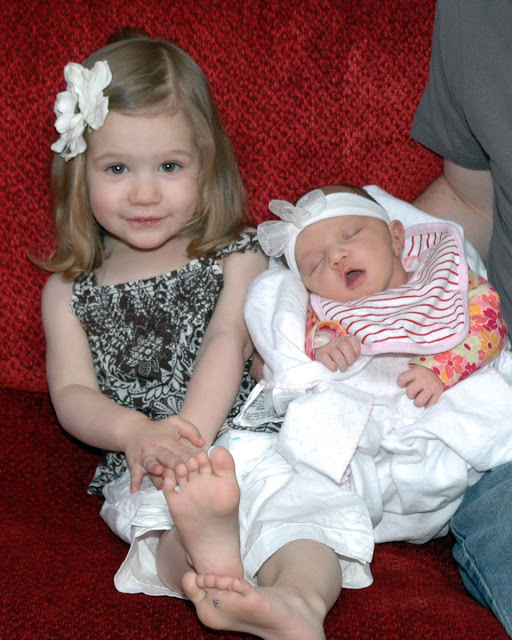 Zoe is Ava's sixth cousin on the Olsen side of the family, her seventh cousin overall. 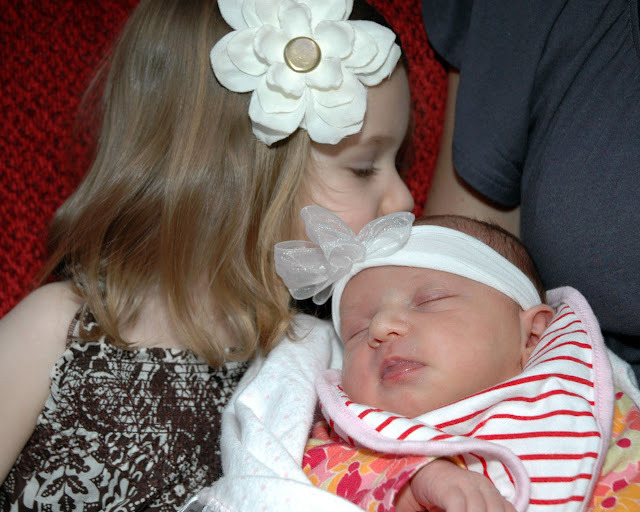 Here's Ava giving Zoe a little kiss on the head. 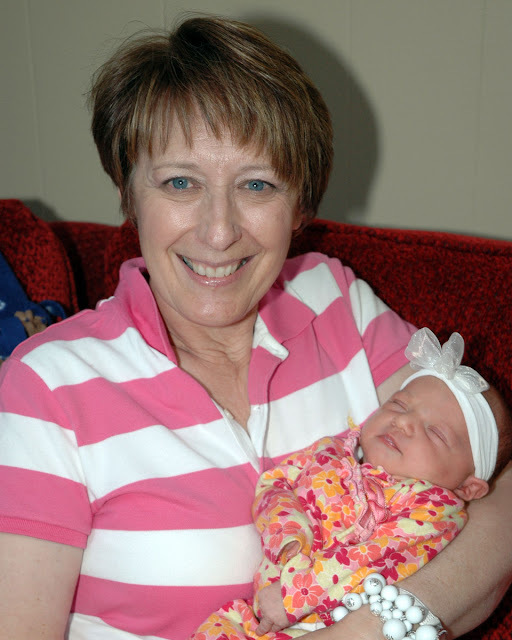 Granny O is very excited about having another grandchild in the family. 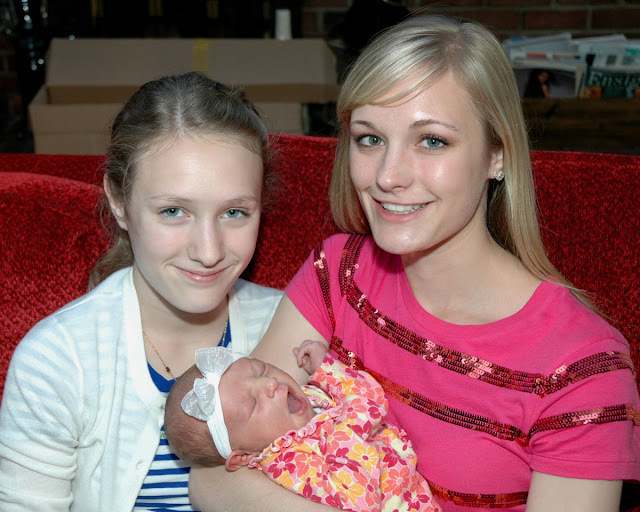 Maddie and Lauren are always the doting aunts, but Zoe seems bored by them as she yawns. We're so excited to have another darling little niece. Congratulations to Erika, Ethan, and new big brother Zach! Welcome, Zoey! What a little doll! She is beautiful! Congrats to Erika and Ethan and Zach. We are so happy for you guys. Cute! Man, Ava is going to be an expert big cousin/big sis with all these cousins! I am sooo excited for Erika and Ethan!! Zoey is so beautiful, and Zach is darling! Thanks for posting all these pics! You guys are the best at keeping things up to date about our lives!